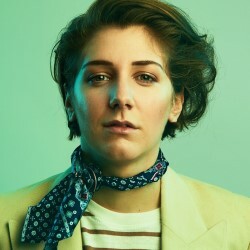 Edinburgh Comedy Award nominee for Best Newcomer and winner of the Herald Angel Award returns with a brand-new hour of comedy about the little things, the smallest details, the fixed and distinct aspects that make up what we definitively are, how we expressly think and who we unambiguously love. 'Powerful, poignant and achingly funny stuff' ***** (Herald). 'It's refreshing to see something so generous and outward-looking' (Chortle.co.uk). 'The most hilarious visual images' **** (Scotsman). 'An absolute gem' **** (Evening Standard).